Staff Sgt. Jack Mayfield Martin III, 26, of Bethany, Okla. died after his vehicle struck an improvised explosive device Sept. 29, 2009 on Jolo Island, Philippines. 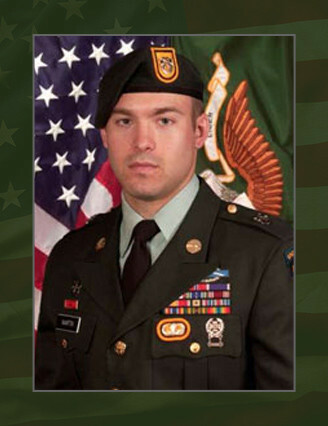 Martin was assigned to 3rd Battalion, 1st Special Forces Group (Airborne), Joint Base Lewis-McChord, Wash. and was deployed in support of Operation Enduring Freedom-Philippines. This was Martin’s first deployment in support of OEF-P; he was a veteran of Operation Iraq Freedom. Martin, the youngest of five children was born in Maquoketa, Iowa and spent his childhood and teen years growing up in Iowa and Bethany, Okla. He entered military service in 2001 and was selected to attend the Special Forces Qualification Course in 2004. Upon completion of SFQC, he was assigned to 3rd Bn., 1st SFG (A) at Joint Base Lewis-McChord, Wash.
Martin’s military education includes the Basic Airborne Course, Warrior Leader Course, Basic Noncommissioned Officer Course, Survival, Evasion, Resistance, and Escape Course and the Special Forces Qualification Course. His awards and decorations include Army Achievement Medals, the Army Good Conduct Medal, the National Defense Service Medal, the Iraq Campaign Medal, the Global War on Terrorism Expeditionary Medal, the Global War on Terrorism Service Medal, the Non-commissioned Officer Professional Development Ribbon and the Army Service Ribbon, the Special Forces tab, the Parachutist Badge and the Combat Infantryman Badge. He was posthumously awarded the Bronze Star Medal, Purple Heart, and the Meritorious Service Medal. Martin is survived by his wife Ashley of Tacoma, Wash. He is also survived by his father and mother Jack and Cheryl Martin of Bethany, Okla; and his brother, Abe, and three sisters Mandi, Amber and Abi.